Newlyn Harbour: This page has been rebuilt in 2017 with new prints and content. It was a page I was quite ashamed of. However, now my printing skills are improving I can be very proud of it now. 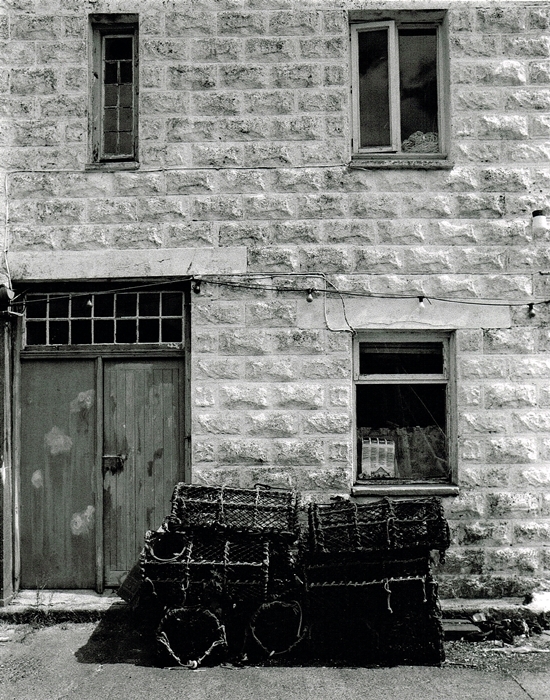 When metal prices fell Cornish Miners no longer able to work underground turned to fishing to feed their families. 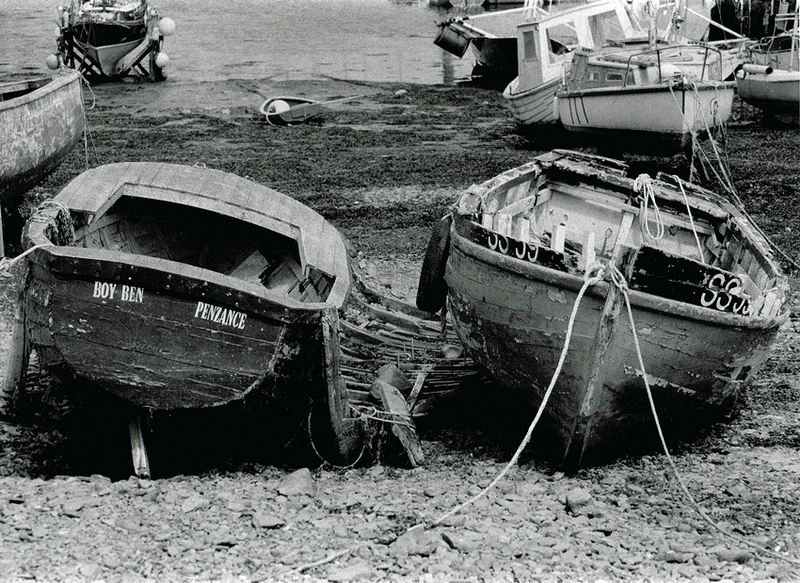 Fishing has always been a major part of Cornwall’s history. When the price of Tin and Copper rose the miners would again seek underground employment and the hope of riches. 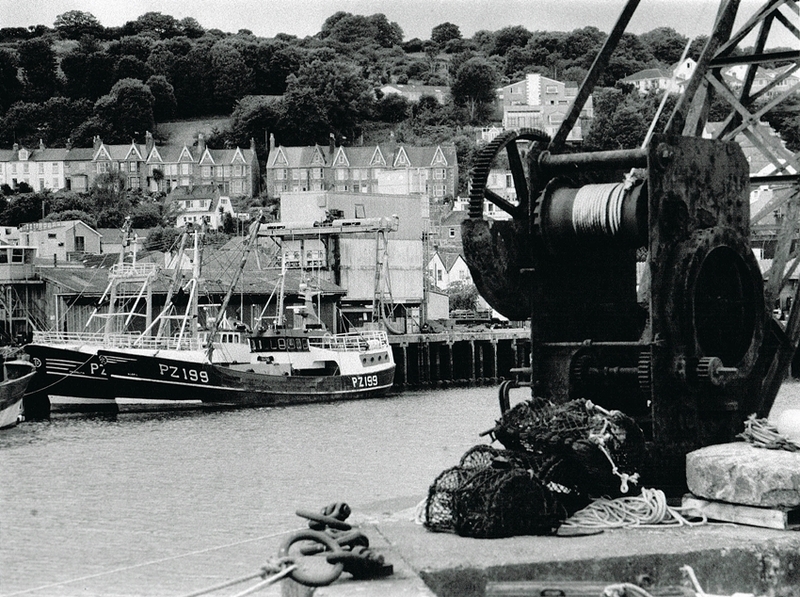 The images on this page were taken around Newlyn which is the home to one of the largest fishing fleets in the UK. Recorded far back in time by the Bishop of Exeter in 1435 this area is steeped in Local History and Heritage. I spent a day with Ben wandering around taking photographs with some reasonable results. These images date from 2009. 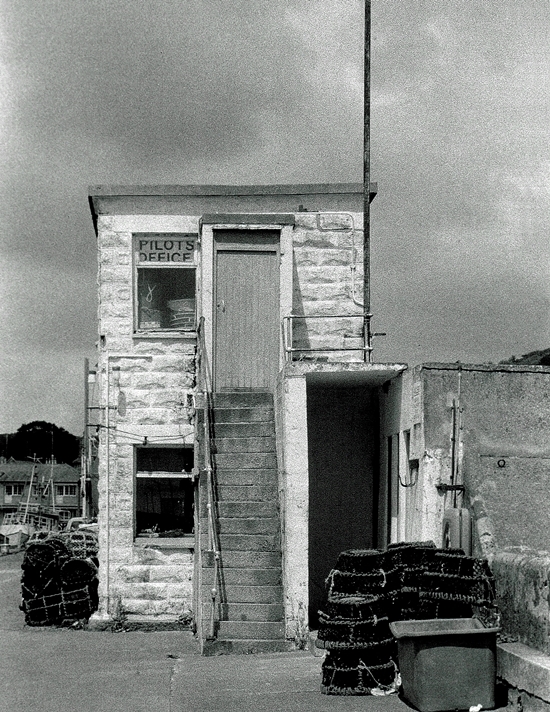 Newlyn Harbour 1: An image of the pilots office. 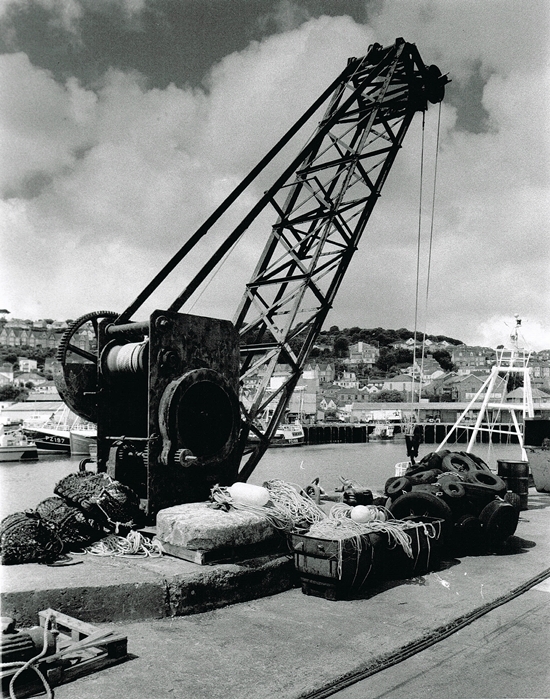 Newlyn Harbour 2: Along the quay this old crane still stands proud, a visual record of the history of the area. Newlyn Harbour 3: The crane in the foreground, on the other side of the dock several fishing vessels are moored. 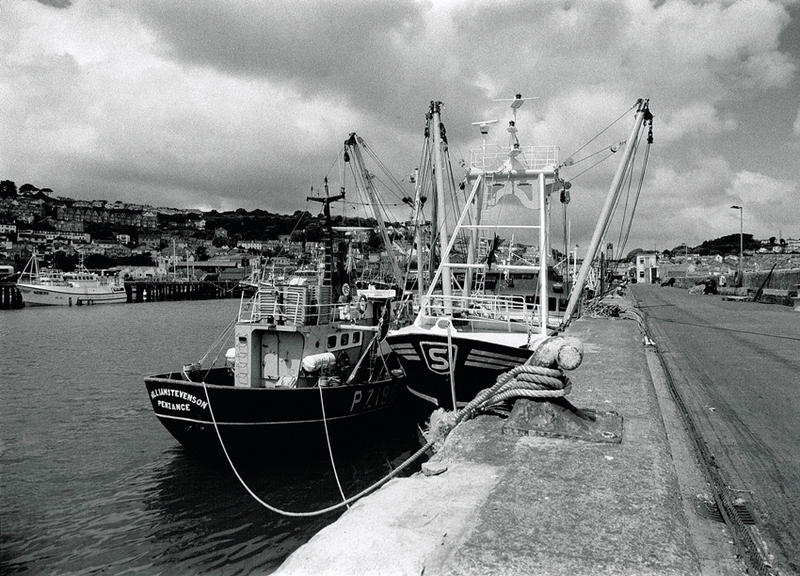 Newlyn Harbour 4: More fishing vessels moored up on the long harbour wall. Newlyn Harbour 5: Further up the quay looking back, it is a large harbour area to protect a substantial number of boats. 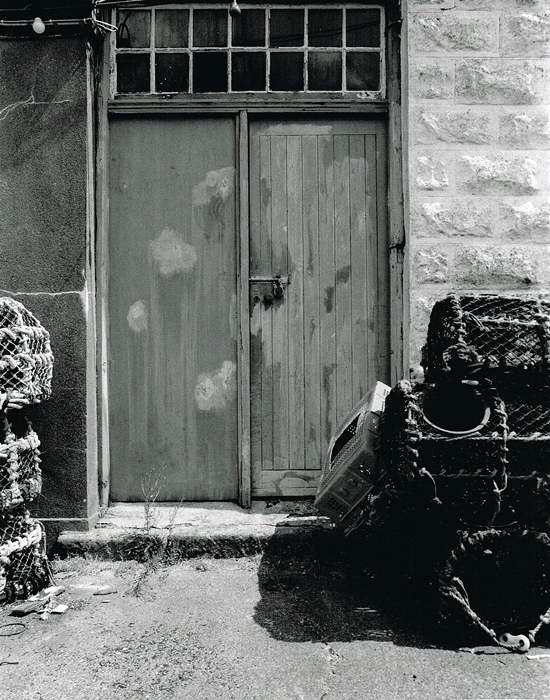 Newlyn Harbour 6: Lobster pots stacked in front of this building, the doorway caught my eye. Newlyn Harbour 7: A wider view of the same building, it makes a pleasing image. 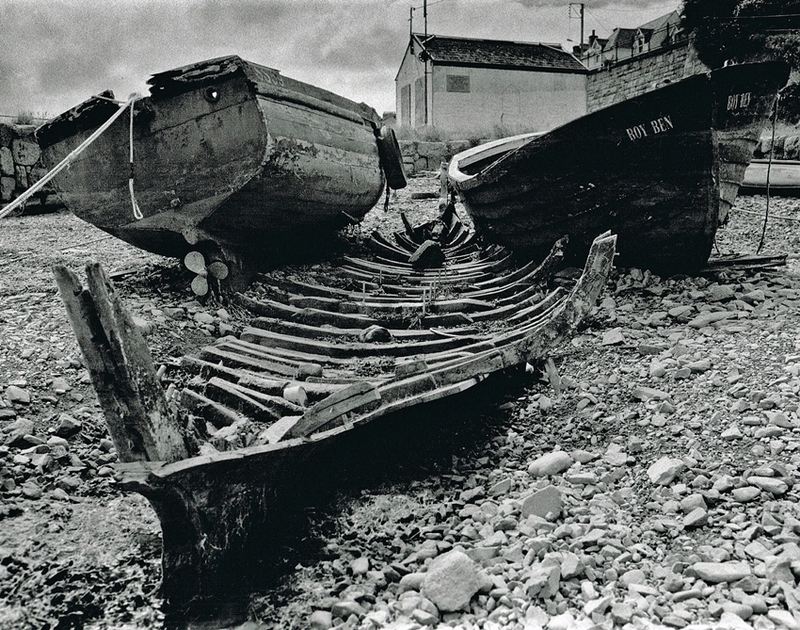 The rest of the images on this page were taken away from the main fishing harbour. I very much enjoyed my day around Newlyn. I had some wonderful Fish and Chips and Ben the dog enjoyed himself in the mud. 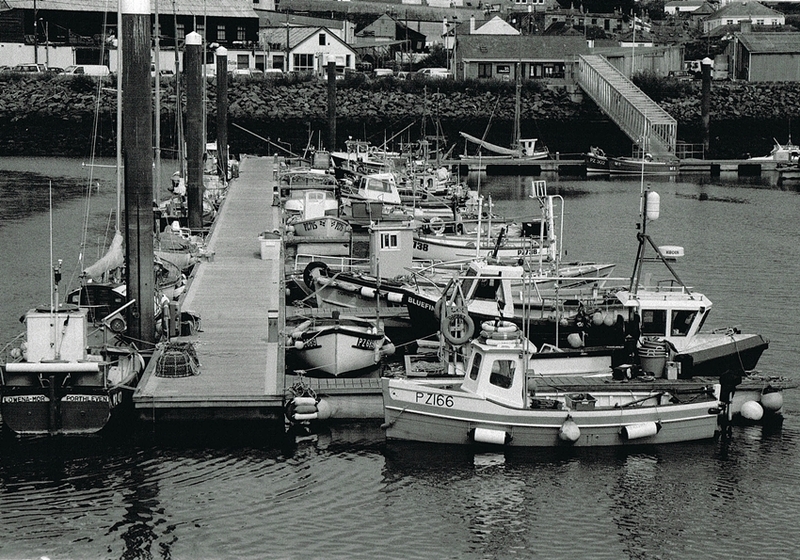 Newlyn Harbour 8: Taken from The Old Pier looking back at the row of moored vessels. 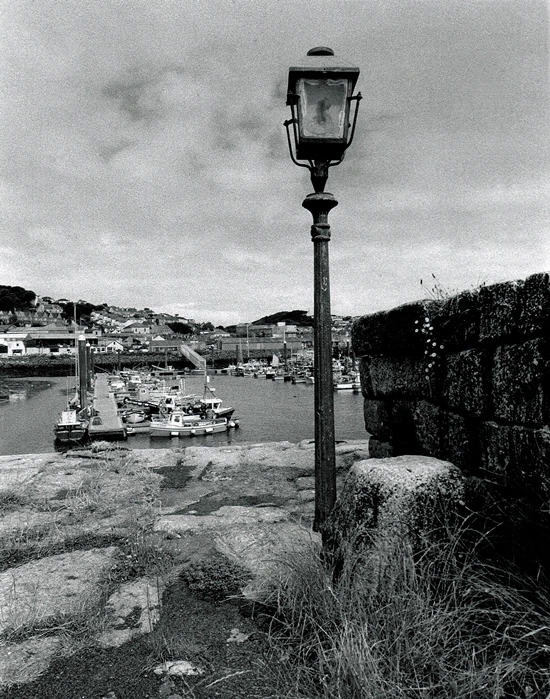 Newlyn Harbour 9: An old fashioned street lamp on the Old Pier. 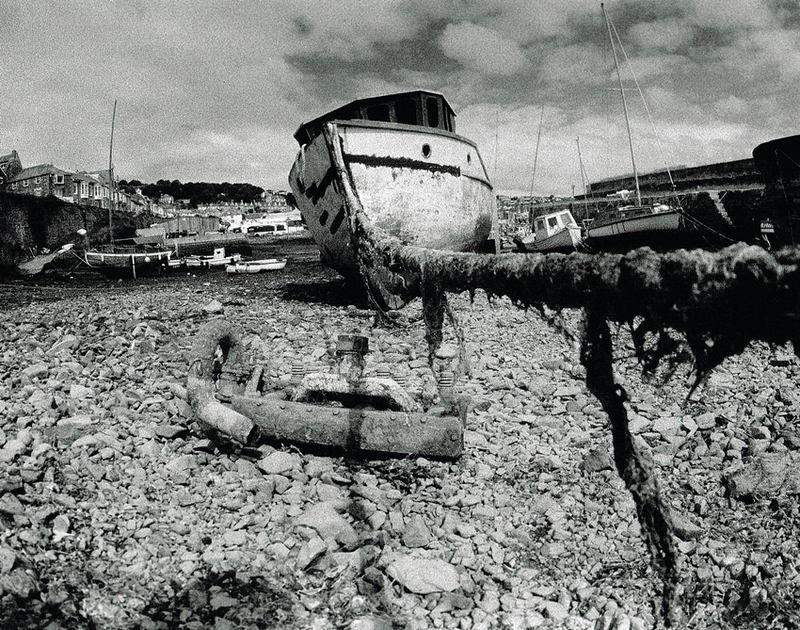 Newlyn Harbour 10: The tide was out so I had a wander around, this boat with the old engine in front made an interesting image. Newlyn Harbour 11: Another wider view of the same boat. Newlyn Harbour 12: Many of the boats in this section of the harbour had fallen into disrepair and were slowly falling apart. 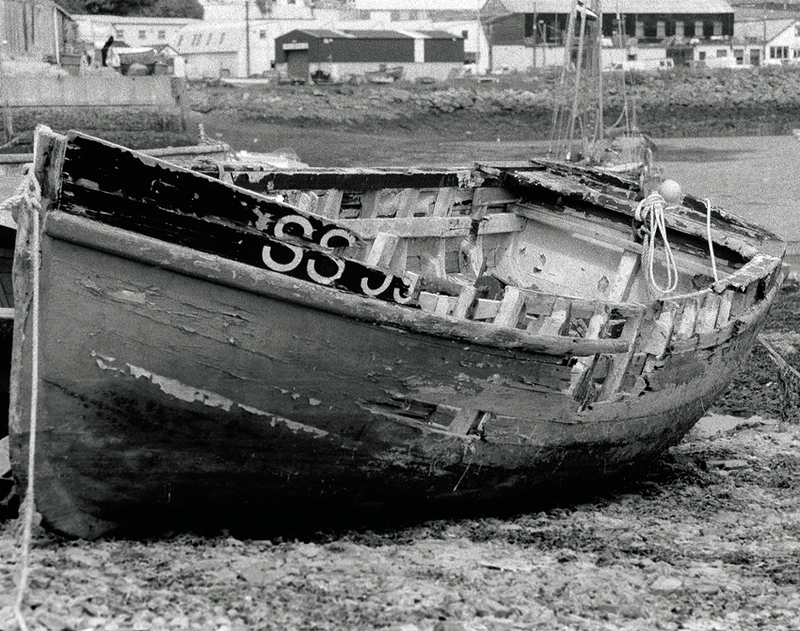 Newlyn Harbour 13: Sad to see boats like this, but it was good for photographs. 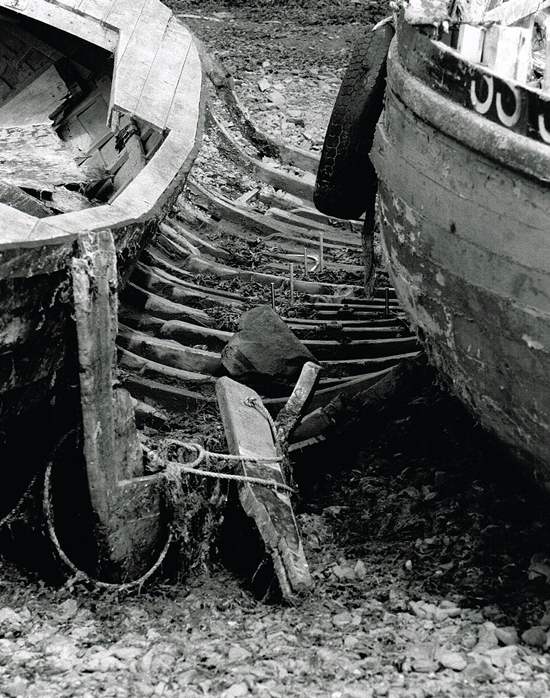 Newlyn Harbour 14: These two boats with the remains of another between them made a very good subject. 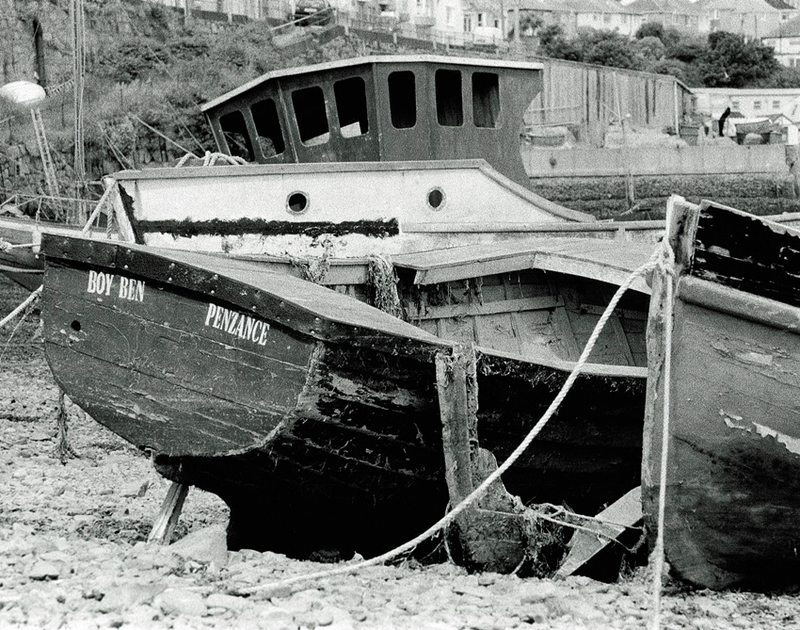 Newlyn 15: Another image of the same boats from the other side. 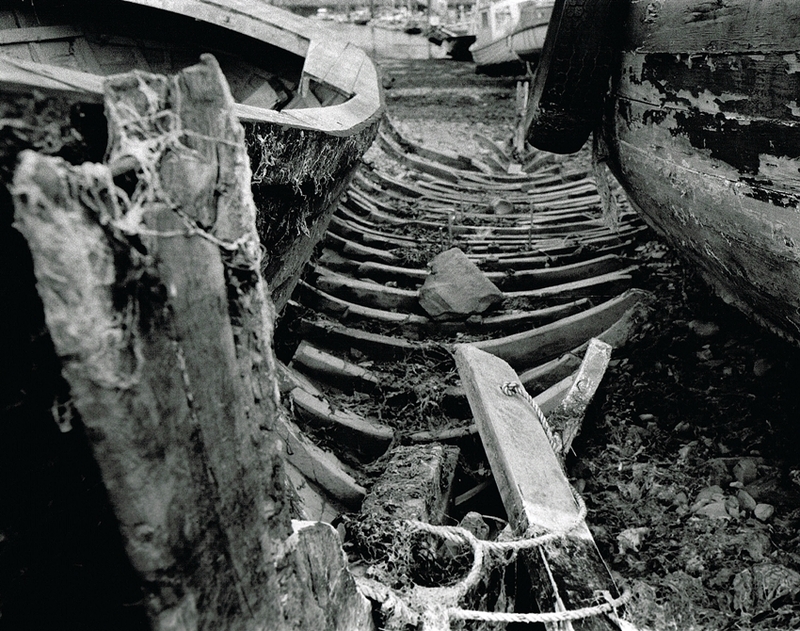 Newlyn 16: This shows the sad remains of the third boat. 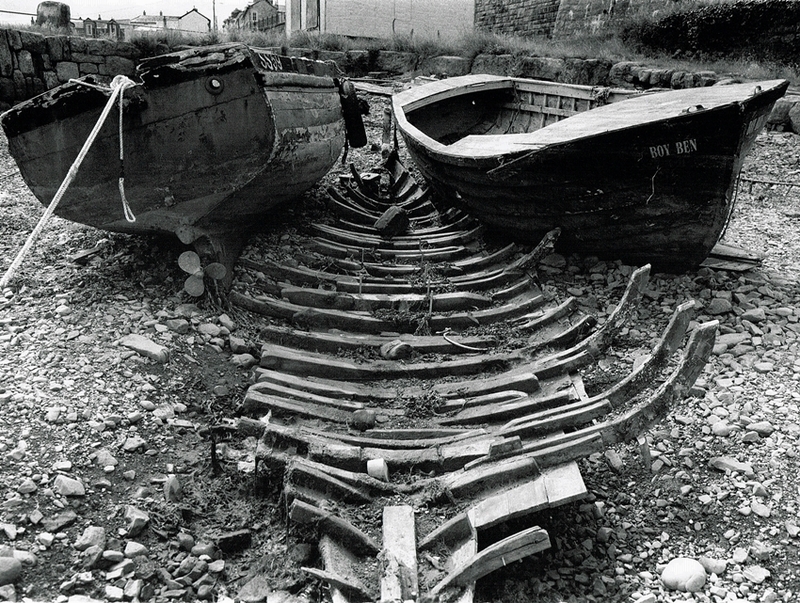 Newlyn 17: I am not quite sure how they ended up like this. 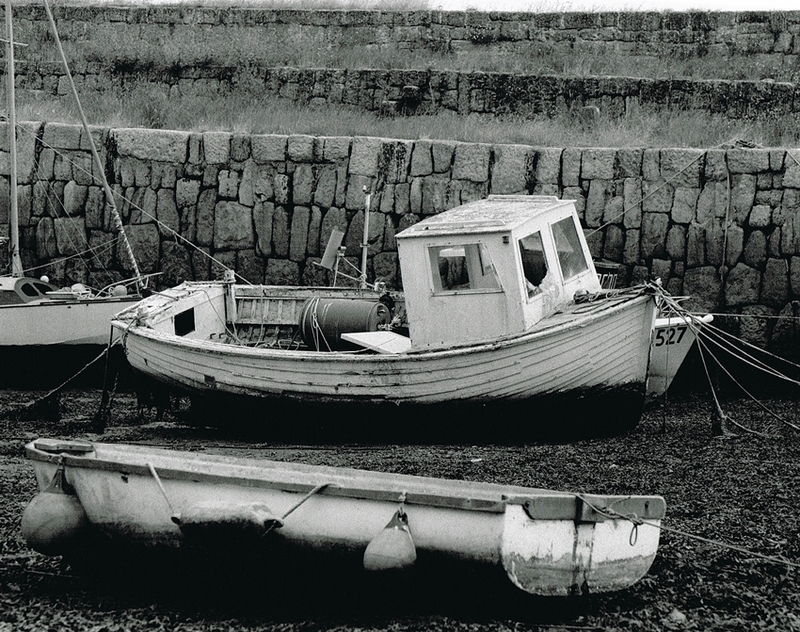 Newlyn 18: I know there are several images of these boats but it made such a good subject, and I enjoyed taking and printing them. 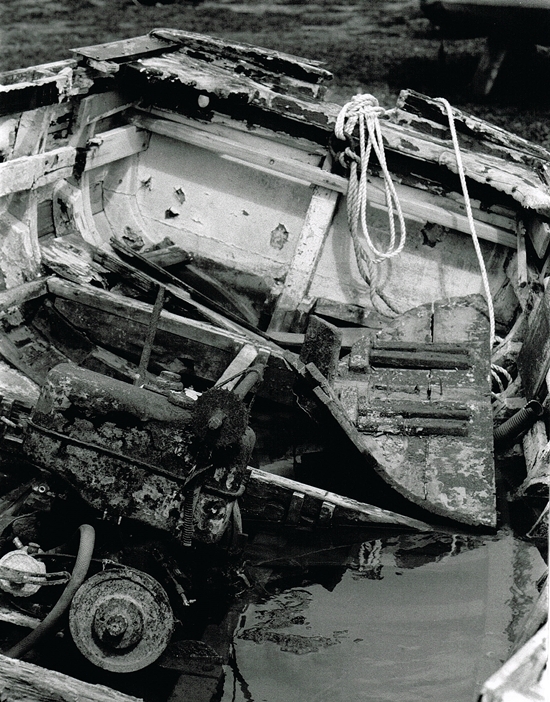 Newlyn 19: The interior of one of the boats with the rusting engine. Still full of water from the previous high tide. 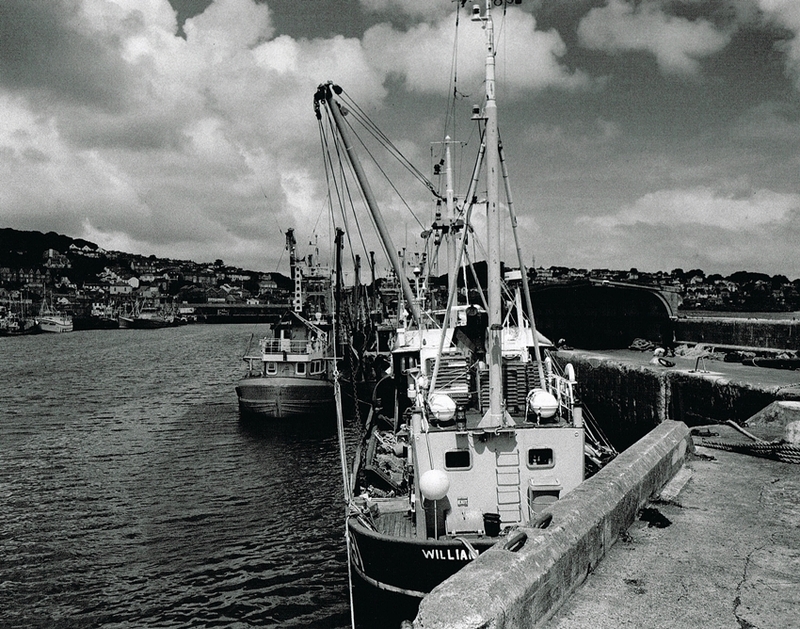 Newlyn 20: Boats moored in front of the Old Pier wall. 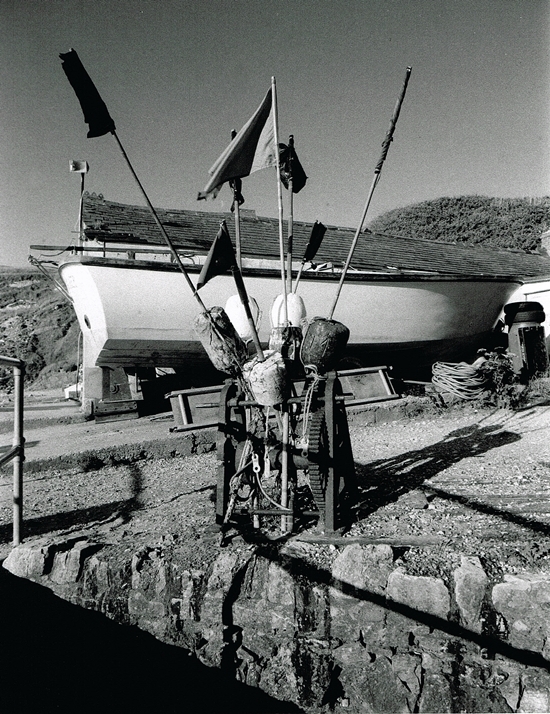 Newlyn 21: Flags and an old winch on the quayside. 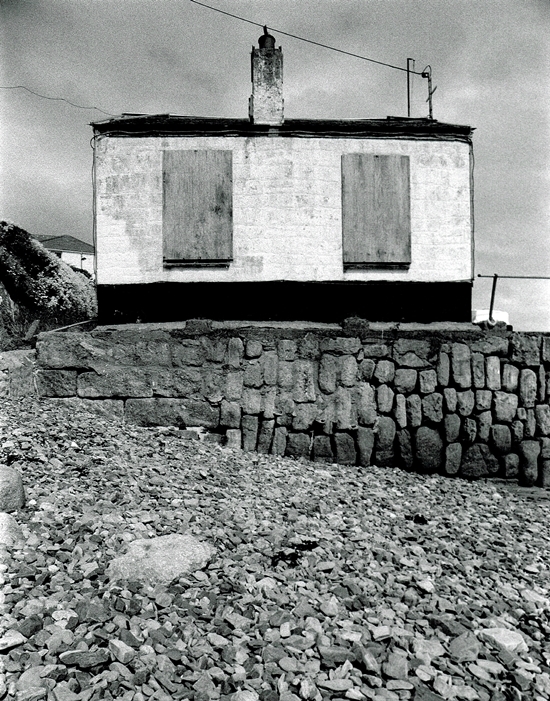 Newlyn 22: An old fisherman’s hut or store, I rather like the balance in this image. 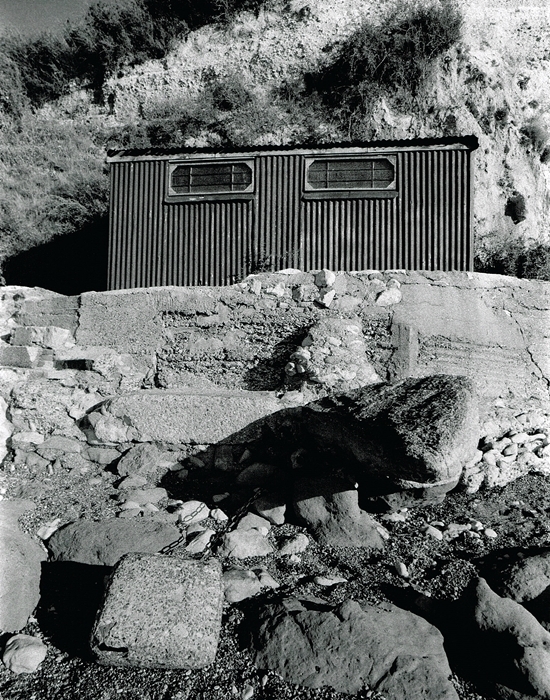 Newlyn 23: Another building offering textures and image balance. 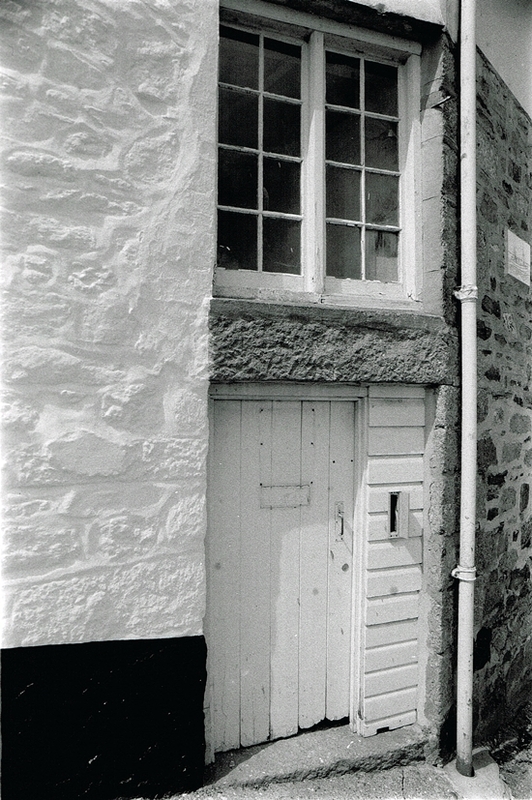 Newlyn 24: Whilst wandering through the town this doorway deserved a photograph being taken. 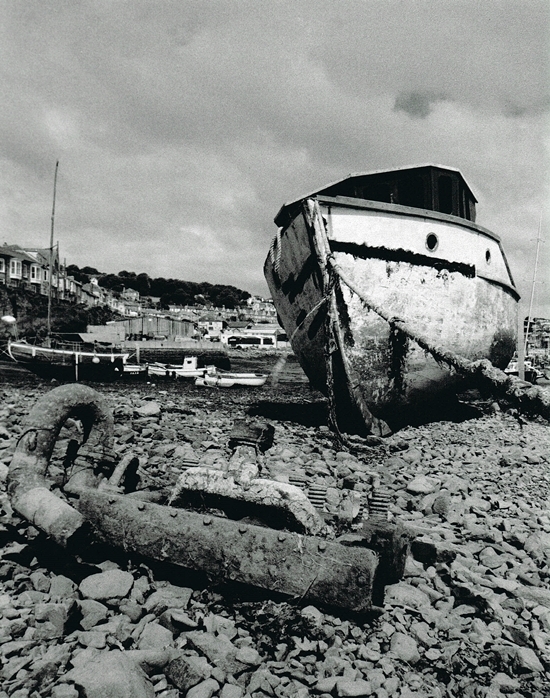 Newlyn 25: The last image on this page. 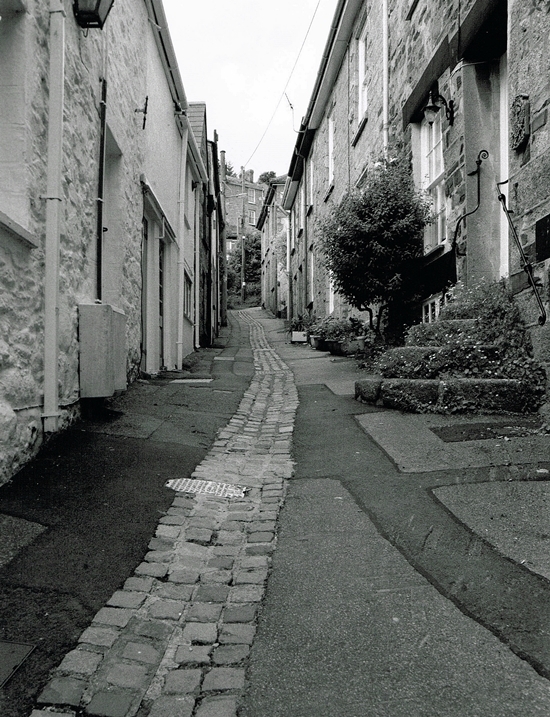 Steep, narrow cobbled streets. In some places it was like walking back in time.